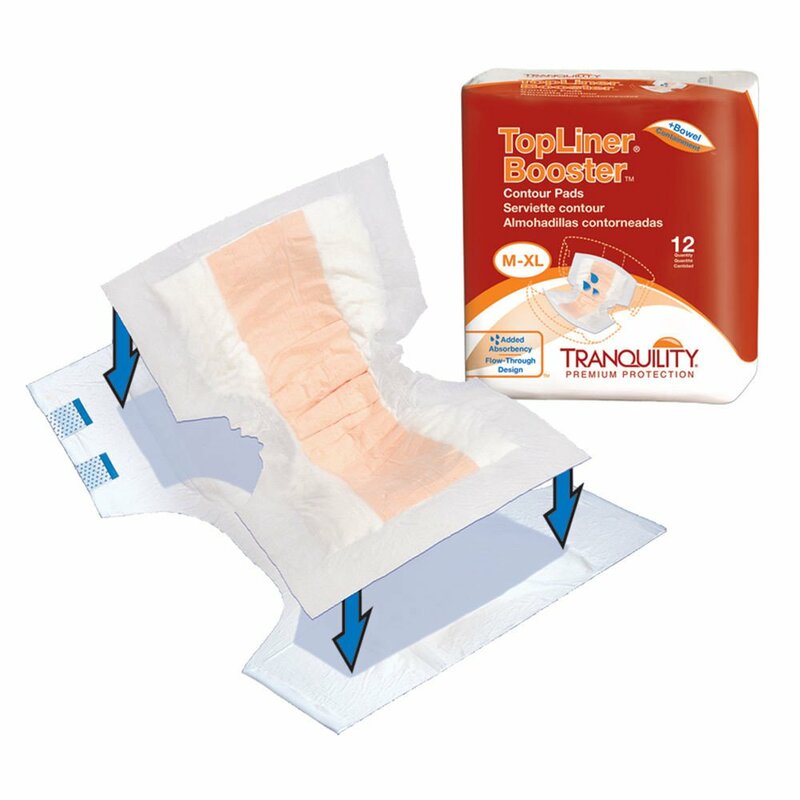 TopLiner Booster Super-Plus Contours are designed as flow-through pads that fill to capacity then pass additional fluid to the primary undergarment – economically extending the use of any disposable brief or undergarment. They improve wearing comfort by ending leakage, rashes, and nighttime changes. 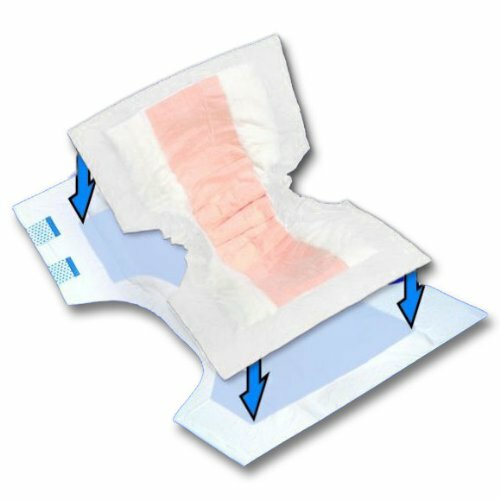 These latex-free booster pads have a soft texture that make them easy to change and dispose, while the wider design helps to contain bowel incontinence. 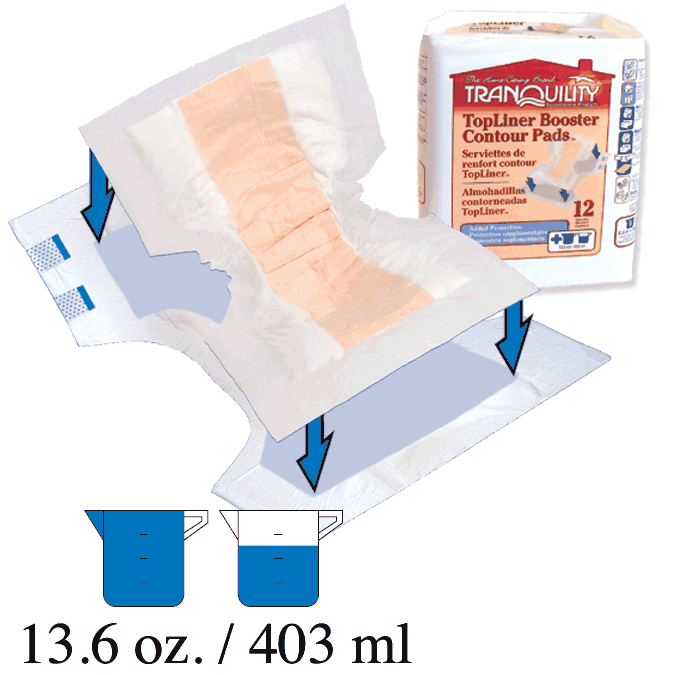 These double-up pads offer 13.6 - 27.5 oz. added liquid capacity. Tranquility TopLiner Mini Booster Pad 10-1/2" x 2-3/4"